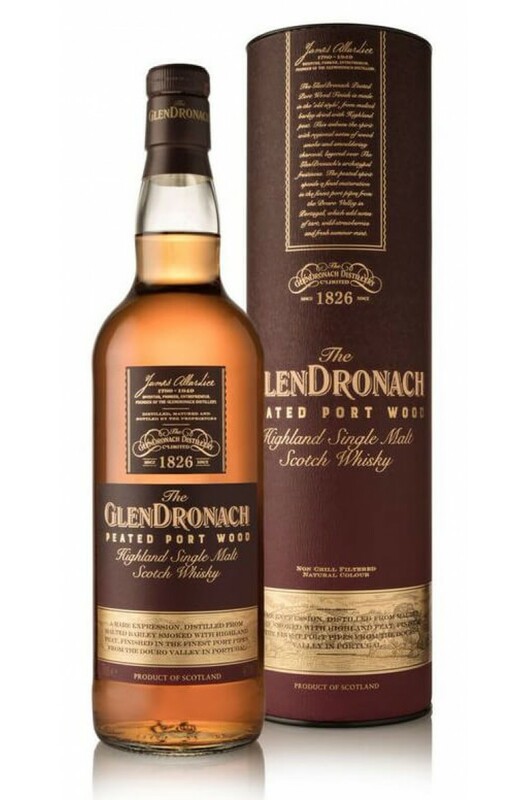 A limited release from Glendronach, which has been peated and finished in Douro Valley Port pipes. A nicely balanced single malt with smoky, earthy notes alongside rich fruity flavours. Taste Crisp, tart cranberry juice, flooded with waves of Highland smoke, sweetens to red berry compote, with rich, stewed barley and lingering, smouldering charcoal. Nose Wild strawberries dusted with cinnamon sugar, filled with sweet wood smoke. A warming hint of black pepper and a sprig of mint appear in the back note. A bit of a departure from the classic style of Glendronach. This bottling leans towards the old fash..